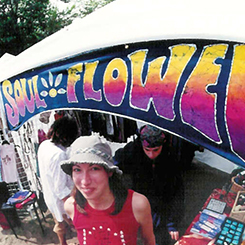 Soul Flower was founded in 1999 by Mike and Peggy as a way to promote a peaceful, positive and eco-friendly lifestyle through funky clothing. Since then, the shop has expanded from a small boutique to a full-fledged online store, offering our buds even more eco goodness and Minnesota made clothing to choose from. 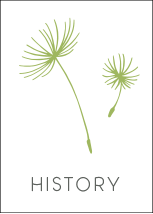 We’ve come a long way since those beginning days, but our dedication to offering our customers thoughtful, environmentally friendly clothing styles hasn’t changed. 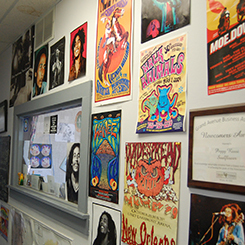 Our company took root in a small "hippie" boutique and at festivals. We created a place where college students and locals could hang out and find unique bohemian and eco-friendly threads. We set up shop at local music festivals to help spread the vibe and share our cool threads with more kind heads. 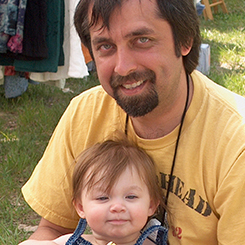 In 2004, we closed our brick and mortar shop on Grand Ave in St Paul, and began to exclusively sell Minnesota Made funky clothing and other products online. Shortly after, we revealed our very own line of clothing using ethically made, environmentally-friendly threads. Taking the company further into developing its own style, we started producing US made clothing in 2009, and established our own unique print and design team in 2012 to create even more positive, funky styles. Today, the buds here at Soul Flower work hard to create cool eco-friendly clothing and to make sure your online shopping experience is just as good (if not better!) than shopping in-store. We take pride in the best customer service around. From silly notes on packing slips to exchanging sizes for you, our buds always put you first! 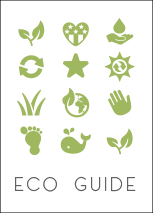 In addition to making eco-friendly clothes, we’ve adopted many green practices into our office culture and our lives. From using eco-friendly shipping materials, to recycling everything we can, to utilizing greener printing techniques/supplies, our employees boldly live the Soul Flower lifestyle. We love good music, living green lives, and keeping great company. This is one group who never turns down a happy hour with coworkers or group yoga sesh. 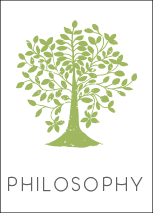 Read more about our philosophy. 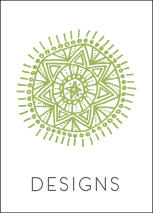 We hope you enjoy the Soul Flower vibe and our positive, eco-friendly threads.